On their website it says they have "crafted a blend of new Country and Classic Country with a dash of Southern Rock to create CPR: Country/Pop/Rock" and on several of the tracks I would say that perfectly defines this trio, but after listening to their self-titled debut album a few times, well, I don't think you can pigeonhole these gals. Their eclectic style and unique panache takes them to a level beyond "CPR". Anyone who knows me knows I prefer traditional country and although every once in a while I might cave and listen to some pop, but a rock song, never! Not even so-called "southern rock". Well, that was before listening to the Morris sisters, AKA Southern Halo. Apparently, they have made the rock genre palatable for even me because I totally enjoyed all ten tracks. Their bio states their musical tastes somewhat differ. At 19, Natalia is the trio’s lead vocalist, primary songwriter, guitarist and principal spokesperson. She has a range of influences that runs the gamut from Vince Gill to Justin Timberlake. The 17-year-old “wild child” drummer, who definitely channels the late, great Gene Krupa, is Christina and she leans towards Dave Grohl and Pink, while 16-year-old Hannah, the bassist, is a fan of Selena Gomez and Justin Bieber. It's easy to see where their creative diversity comes from. 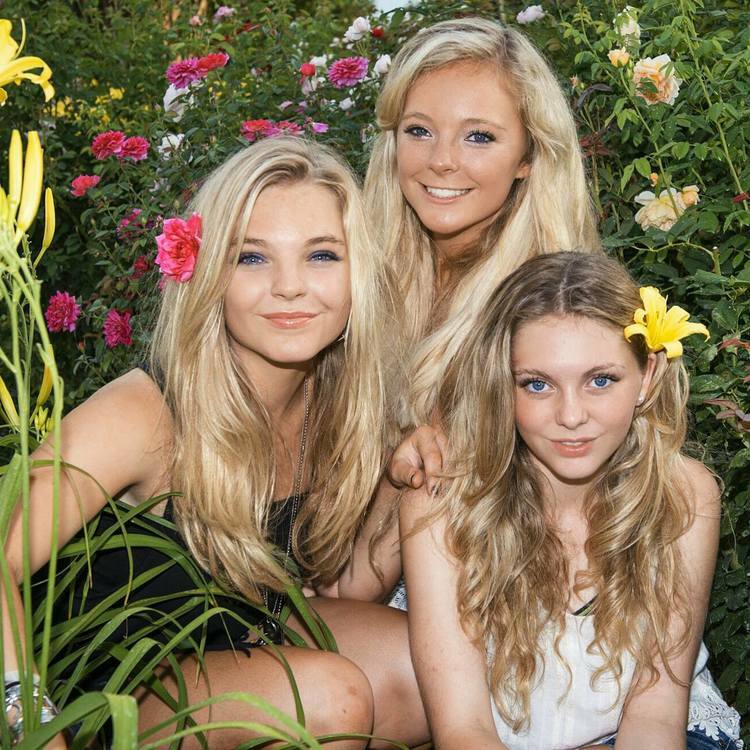 You are introduced to the razor sharp vocal harmonies of this talented trio on the very first track, "Little White Dress", which was an international success for them. On the next track, "Life Rolls On", despite being a more drum driven (expertly BTW) tune, the harmony is still the star. The third track is their current hit, "Rewind". It is also one of my favorite tunes on this album. I like the lyrics, the music, and the rhythm of this song. "Living Like That" was another track that stood out for me. This song is probably not "rock" to anyone else but to me it is... and much to my surprise, I really liked it. All ten tracks were more up-tempo so I really look forward to hearing this trio do something a little more mellow. By the time the final song, a cleverly written warning to any prospective suitors titled, "I Ain't Crazy (But My Daddy Is)", hit the speakers, I was a fan of Southern Halo. These three sisters have all the bases covered. They are beautiful, incredibly talented, and certain to be around for a long time.